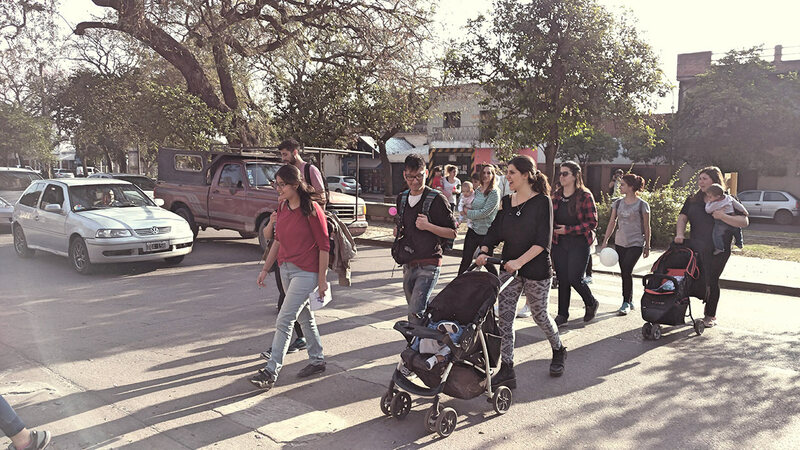 In 2016 we launched the Urban95 Challenge – a call for ideas for practical, small-scale projects to improve urban livability for babies, toddlers and the people who care for them. Our main aim with the Urban95 Challenge was to stimulate new ideas from a wide range of sources and to get a sense of what might be scaled or replicated elsewhere. We received 151 ideas from 41 countries, from academic institutes, municipalities, established NGOs, and also many bottom-up community groups. They addressed areas such as green public space, mobility for families, data-driven decision-making, parent coaching, civic engagement and childcare management. We funded 26 projects in 18 countries, with grants averaging around EUR 17,000. 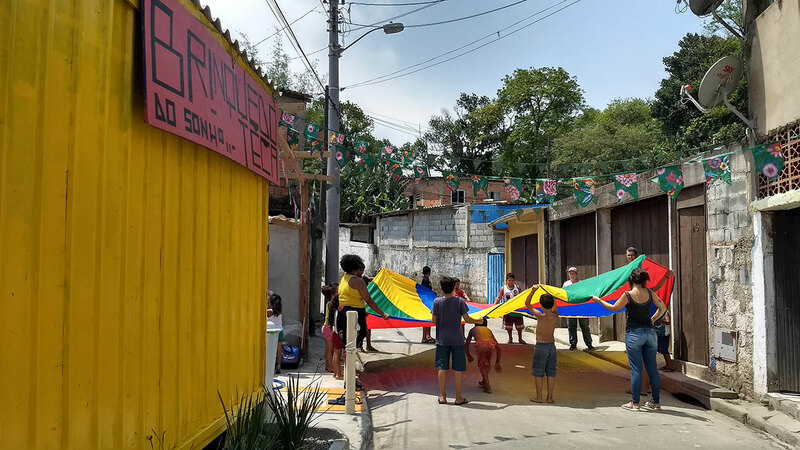 In a favela in Santos, a coastal Brazilian city south of São Paulo, Instituto Elos adapted their ‘Oasis Game’ methodology to involve the community in thinking about how public space could be made more family-friendly, and working together to put plans into effect. The response was enthusiastic, with 350 local residents helping to clear litter, paint murals, create a space for play, plant a vegetable garden, and turn an abandoned shipping container into a toy library. A challenge for any city that aims to become more family-friendly is that every municipal department – from health to public transport, to social care, to parks and recreation – has some effect on urban livability for infants, toddlers and caregivers. The municipal government of Tirana, Albania, created a new position – Chief Child Officer – to assess and advise the mayor on the impact of policies across the city administration on families with young children. The project has been an eye-opener to our team on the importance and great potential for creating better and more equitable places for all through the inclusion and active participation of caregivers and young children. We feel like we have been given the opportunity to advance our work and impact as an agency further.